This is the TRA4581, Glow Plug Lead Wire for the T-Maxx Truck Kit. This wire that is attached to the glow plug that heats it while starting. This is a blue silicone wire. It has one bullet connector soldered on one end of wire. 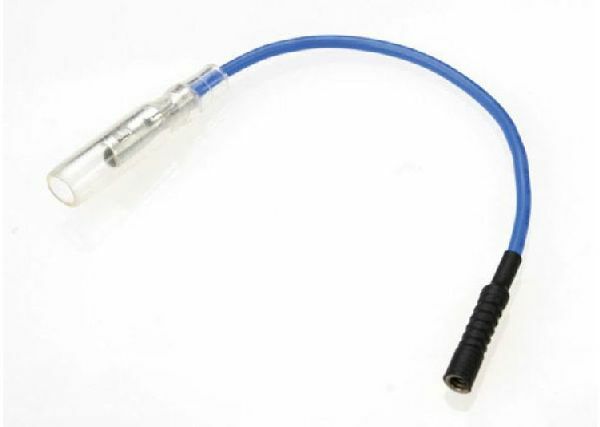 INCLUDES: One blue glow plug lead wire with bullet connector. COMMENTS: Designed for use only with the EZ Start System.